Rooms Sleeps 10, This 3rd floor 3 bedroom, 3 bath unit sleeps 10. Enjoy the gulf view from your private balcony! Wonderful condo! Very quiet and beautiful beach. Was not expecting the oil rigs but they didn’t bother us. Long (but easy) walk to the beach for those who might struggle. Loved our stay! This is the third year we have vacationed in Dauphin Island in October. This was our first time staying at the Beach Club, the past two years we stayed at The Inn of Dauphin Island. Our condo was clean, modern and well equipped with everything we needed for the week. There were plenty of linens and towels for the six of us and the kitchen was well stocked with appliances and plenty of dishes. We had a waffle iron, crockpot and even a Keurig coffee maker. The weather was beautiful all week and when we weren't on the beach, we spent our time on the balcony enjoying the ocean view. We normally stay a week, but on our second day last year we decided that was too short, so we booked for two weeks this year, and we've already booked for two weeks next year. We just had a quiet time relaxing and sitting on the beach and by the pool. Great condo, not very crowded. Kids loved the swimming pools! We had a great vacation! Our unit was just as described. It pretty much came with everything you could need except food! We loved sitting on the balcony everyday. There was plenty of room for the 8 of us. We are already making plans to stay again next year! It was very clean. We enjoyed our time at the Beach Club. Very clean spacious condo. Such a fun place to visit. We relaxed on the beach, enjoyed the pool, visited gift shops, rode bicycles and tried a few local restaurants. We will definitely be back. Even During storm it was a great stay! Tropical Storm Cindy blew in during our stay but was still a great time! Pictures do not do this condo justice! Very roomy - we had 8 people and plenty of room for everyone! I must know what type of mattress was in the master bedroom - the best ever! We decided at the last minute to go to the beach - literally 2 days before left we booked our reservation. Due to the hurricane in the Atlantic, folks were switching their trips to the gulf, so we had a fairly difficult time finding what we wanted due to lots of places being full. 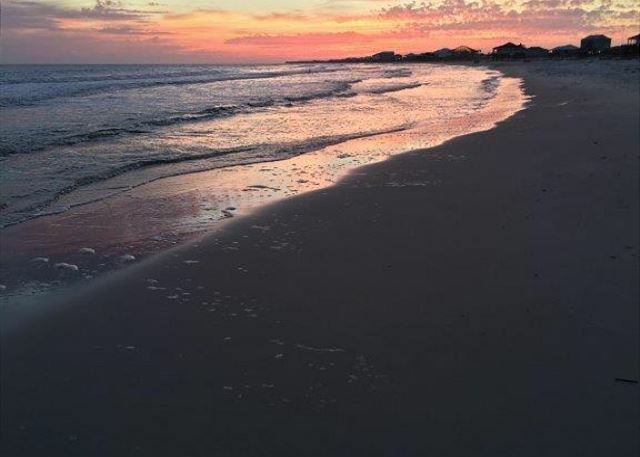 We decided to take a chance and go somewhere we'd never been - Dauphin Island. We were a little nervous booking a place we had never seen at a location we had never been to. Our fears were completely unfounded though, as our condo was perfect for us. The 3 bedrooms and 3 bathrooms perfectly met our needs. Having 2 pools was really nice too. The only drawback to the location is that Walmart is like 45 minutes away, so it's not like you can just run out to get stuff everyday. We went once and then made do with what we had! Overall we had a great experience! We actually booked a different condo with this company (a two bedroom two bath), but it wasn't finished cleaning by our check in time. Instead of waiting, the manager upgraded us to the three bedroom condo, and I couldn't be happier! The condo was well kept, beautiful view, and we loved the kids room with trundle/bunk bed! The area was relatively quiet, two nice pools, and a very nice relaxing way to take vacation. We will be back! This was the second time we stayed in this rental and it was just as clean and comfortable as the first time. We had everything we needed and a beautiful view of the ocean on top of it! We absolutely love this place and intend to come back year after year. First time we (my family)took a vacation at a beach. We has a great time. We drove into Mobile a couple of times, but otherwise stayed at the condo area. My daughter and grandkids liked the pool, and me and the grandkids liked the beach. I loved the constant wind blowing. I took a chair and sat in the water while the kids played in the waves. LOVED IT !!! Talking about the booking the next stay! Our family really enjoyed our stay. The salt water pool was wonderful and we love the natural beaches. We loved visiting the east shore for movie night and sunset. A lovely place for vacation and to get away from it all! This was a great place for a beach vacation. It is very family friendly and not at all crowded like other beaches. The guys loved fishing here and I particularly enjoyed the beautiful sunsets! We'll be back next summer! 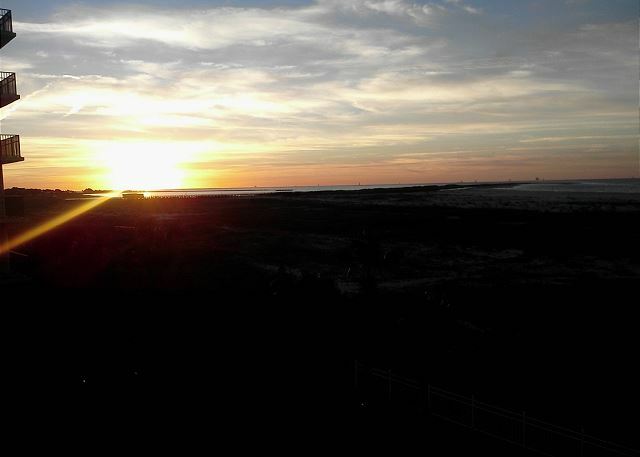 We loved our time on Dauphin Island. The condo was great and our family didn't want to leave! Comfortable beds, super friendly management, quiet atmosphere, great views. Would if the property had a deck to help with the walk to the beach, to see a newer fridge with a handle and shelves that weren't broken, and a working lock on front door (so door could be unlocked) or to be given two keys to the condo. Overall this was a great vacation and we'll be back next summer! This is a wonderful place to stay! Best on the island! 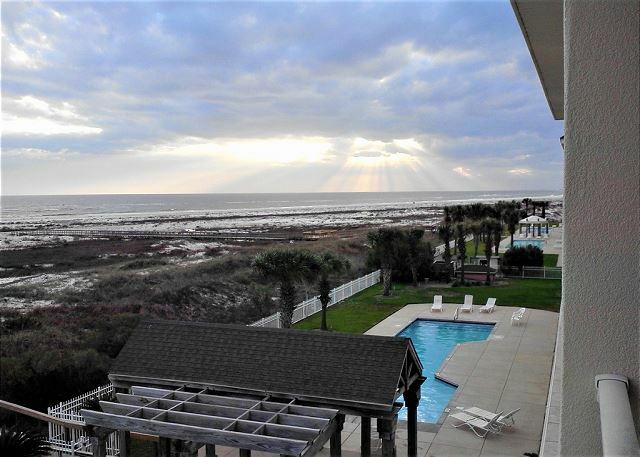 Very nice size and third floor is very good view of the Gulf. Four adults had a tight time getting into the kitchen. A few cosmetic repairs could spruce the place up a bit, but overall, a very satisfactory experience.